I have read and accept the terms of data privacy of W.Bosch+Co. VCI films provided by W.Bosch+Co. 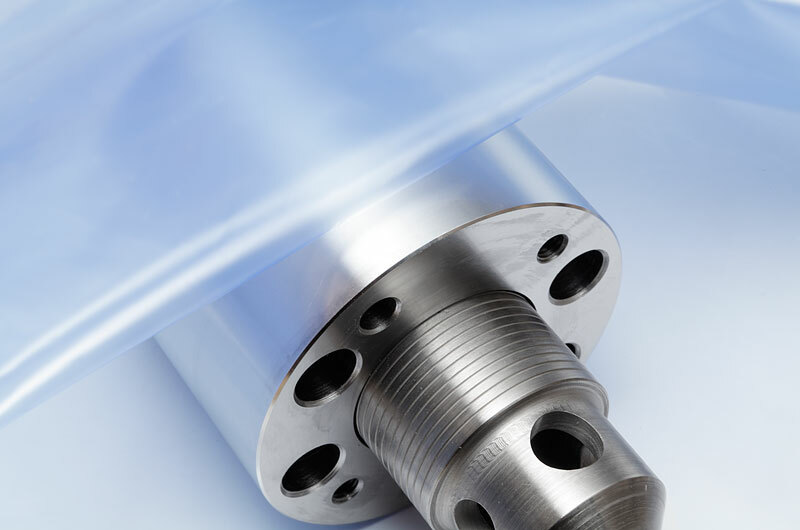 are always the best solution when it comes to providing safe and effective protection for large machines, metal workpieces, metal tools and also bulk goods from corrosion and environmental influences, pollutants, contamination and pests. A good combination for various applications. 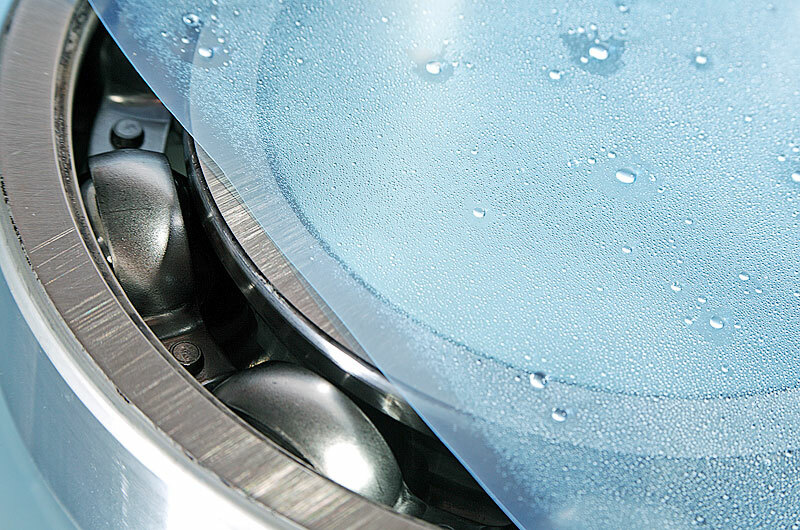 combinations of VCI inhibitors, making them ideal for the widest range of protection requirements: 5 to 8 m² VCI films made of WB-VCI-PROTECT® UNI FI can, depending on the surface in question, provide sufficient protection for a packed volume of 1 m³ for a maximum period of up to two years. 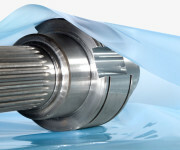 This period can be extended up to 10 years by adding VCI emitters like VCI chips or VCI UNI-S powder bags. In the case of special requirements or custom alloys, we test and examine the effective protection in our own laboratoryor have tests performed in external institutes. For example, W.Bosch+Co. commissions bodies like the BFSV Institute (Institute for Consulting, Research, System Planning, Packaging Development and Testing), which is recognised Europe-wide, to perform regular and independent audits to confirm the quality of its products. Secure packaging for all shapes and sizes. longer protection. 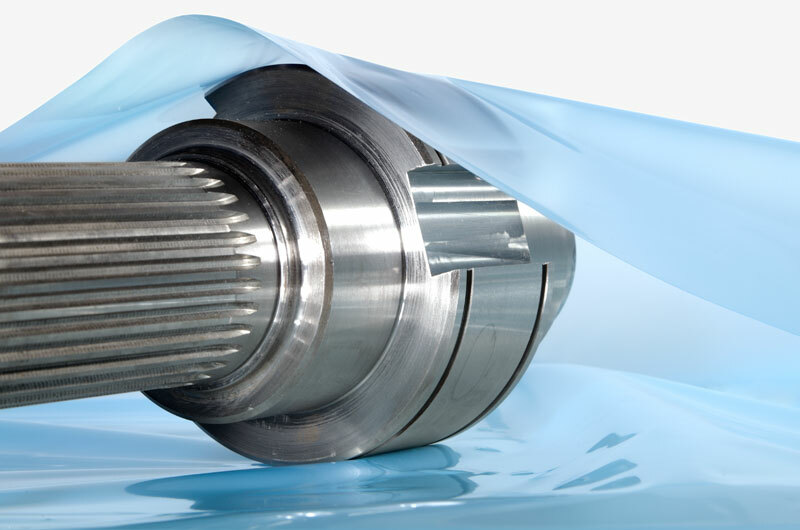 Customers can select the delivery format to match their requirements – on reels as individual sheets, tubular, semi-tubular, tubular with side folds, flat pouches or side fold bags with tear-off perforations, individual cut-outs, flat pouches, side fold bags, covers and crate inlays. Easy to use on all equipment. 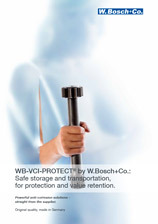 WB-VCI-PROTECT® film provided from W.Bosch+Co. 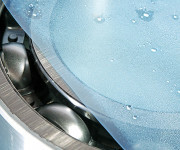 can be handled in the same way as commercially available PE film and is ideal for use in automatic packing processes. 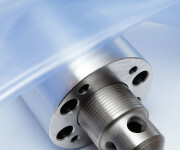 The film can also be easily sealed, and it can be manually or automatically wrapped and stretched on all conventional standard machines.